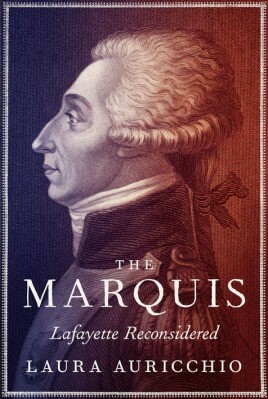 A major biography of the Marquis de Lafayette, French hero of the American Revolution, a book that looks past the storybook general and selfless champion of righteous causes who, at the age of nineteen, volunteered to fight under George Washington, casting aside fortune and family to advance the transcendent aims of liberty and justice. • The Marquis draws on substantial new research conducted at archives, libraries, and museums; the first Lafayette biography to incorporate newspapers and pamphlets of the day that shaped public opinion in the Age of Revolution. We see how Lafayette’s reputation rose to great heights during the American Revolution but collapsed more than a decade later during the French Revolution; how when the Bastille fell on July 14, 1789, Parisians hailed Lafayette as the French Washington, appointing him commander of their National Guard in the hope that he would be able to restore order to a city wracked by starvation and violence. As revolutionaries hurtled in radical directions and staunch monarchists dug in their heels, Lafayette lost control, remaining steadfast in his belief that the French monarchy needed to be reformed, but not abolished, and doing everything in his power to prevent an American-style republic from taking root in his native land. Formerly seen as France’s heroic figure, he was now a traitor to his nation, forced to flee his country, and today remains a murky figure in French memory.